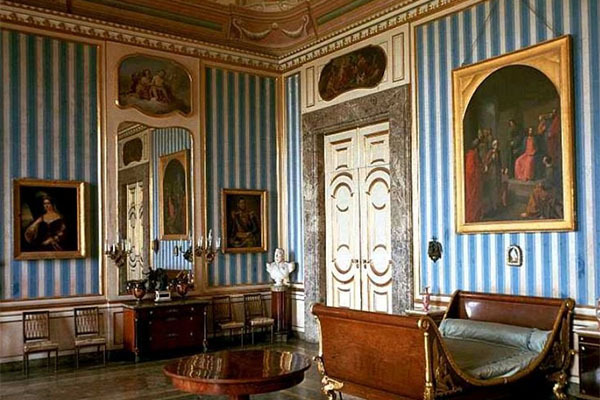 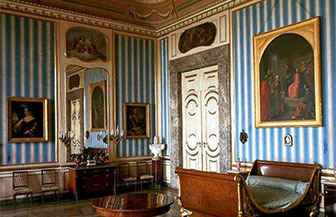 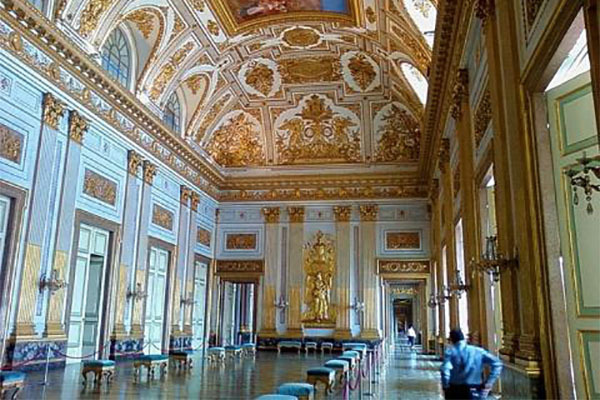 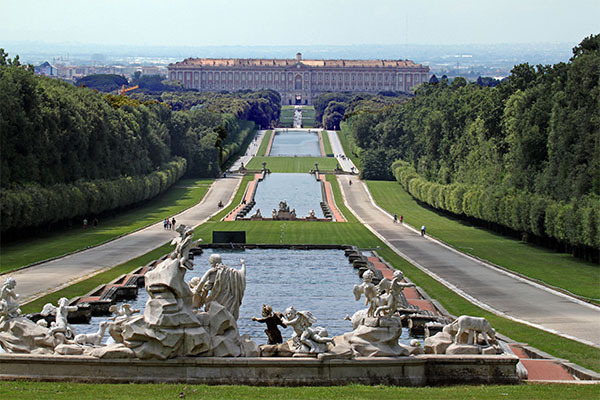 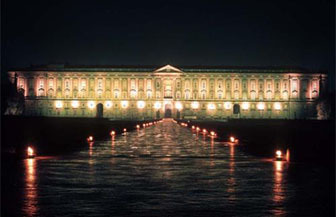 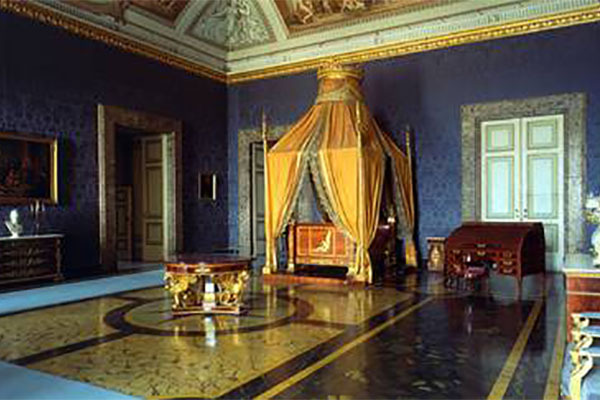 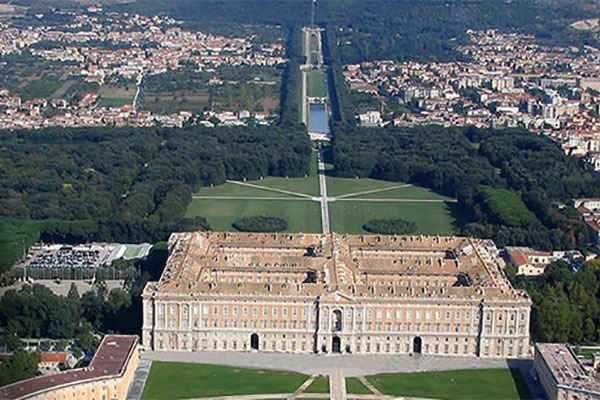 When, in 1752, the Bourbon King Charles III decided he wanted to have a Royal Palace and seat of government far from congested Naples, his court architect, Luigi Vanvitelli, set about creating his most impressive work ever: the Royal Palace of Caserta. 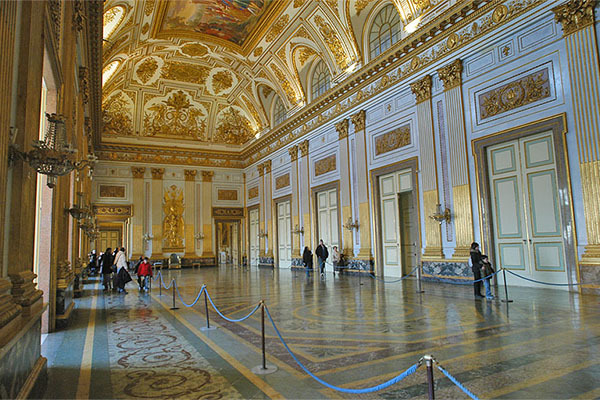 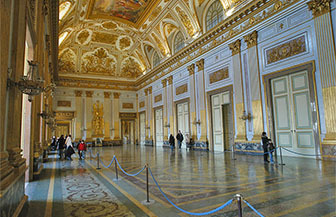 The palace has been likened to Versailles and the main façade of the yellow stucco and travertine building is almost 250m long. 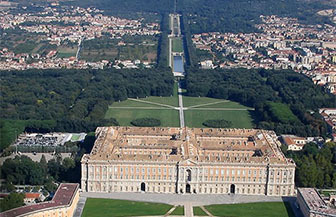 The utterly symmetrical Neo-Classical plan has four identical inner courtyards. 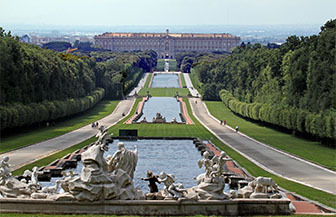 The gardens stretch for three kilometres north beyond the back façade of the palace. 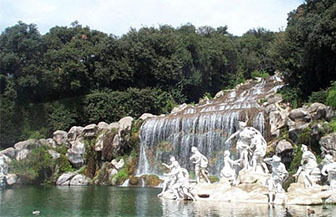 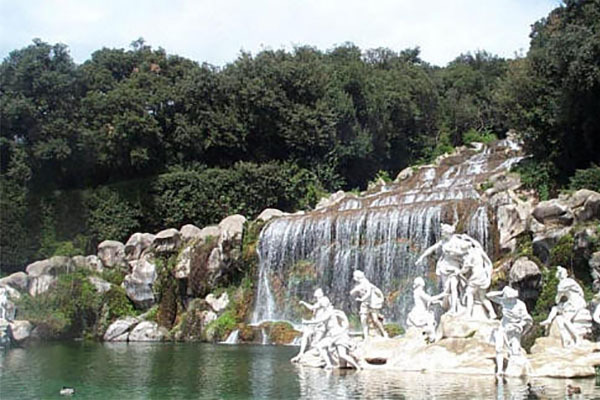 Sculptures, fountains and cascades, along with an English garden and man-made lake with an island are all part of the impressive landscape.